The monsters are not just in books. The haunting spirits are not just numbered encounters. 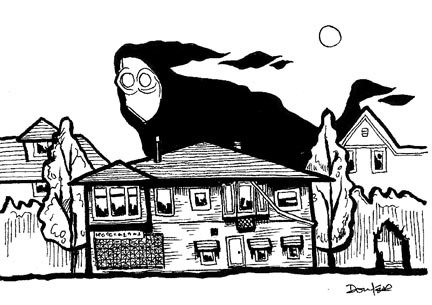 They're invisible for the most part, except for to those they specifically haunt, but if you sit with a particular mode of silence, and look diligently, you'll see that they hover over every neighborhood, home, and business.